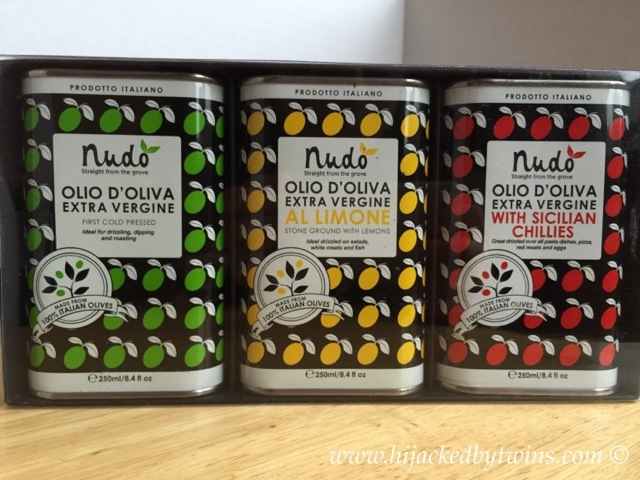 You may remember, before Christmas I wrote a post about Nudo Adopt's Panettone. Since then I have been trying some of their flavour infused oils in my cooking. In the past I have used infused oils before but I will admit that I have not tried any like Nudo Adopt oils. So far I have only tried one of the oils but I am so impressed with it I simply cannot wait to tell you about the others! I am planning to create other recipes using the other oils which I will be sure to share with you. But I had to tell you about the oil that I have tried. The first oil that I tried was Nudo Olio D'Oliva Extra Vergine Al Limone, Extra Virgin Olive Oil Stone Ground with Lemons. In the past, other infused oils that I have tried had an aroma of the infused flavour but the taste simply did not linger throughout cooking. 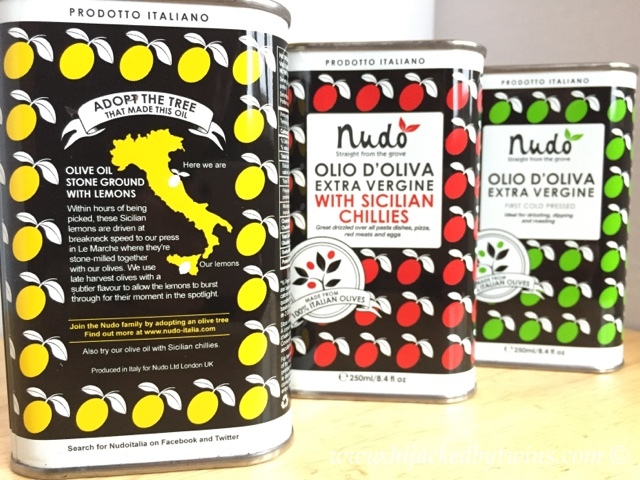 As soon as I started to heat up Nudo Adopt's oil the aromas of lemon filled the air. As I began cooking the chicken in the oil the aromas of chicken and lemon combined together perfectly. As soon as the chicken was cooked, I could not wait to try a piece and I was amazed that the flavour had soaked into the chicken. I have never used an infused oil that has added so much flavour to a dish. To ensure that the flavours marry together completely Nudo transport the lemons within hours of being picked to their olive press in Le Marche. Here the lemons are stone ground with olives that are from the late harvest. These olives have a more subtle taste which enables the flavours of the lemons to burst through. 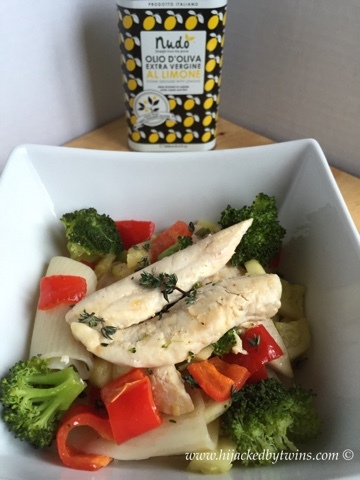 When it comes to using the oils to prepare a meal I have found that the oils do a lot of work for you so you can create a really simple meal with such an amazing flavour. 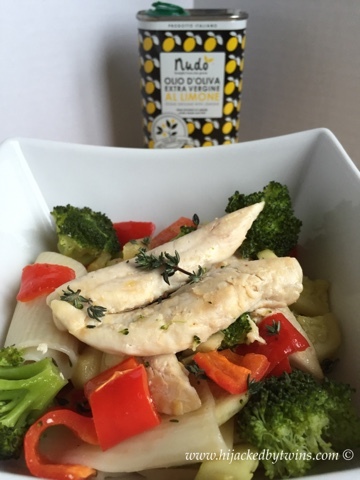 1 - Cook the pasta as per instructions, adding one teaspoon of Nudo's oil and 1 teaspoon of fresh thyme leaves. Steam the broccoli until just starting to soften. 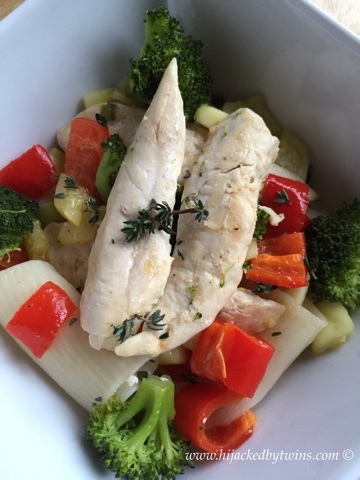 To serve drain the pasta and create a bed of pasta on the plate, top with some of the vegetables then finish with some chicken fillets. 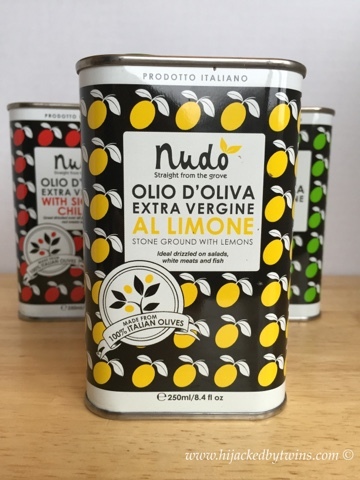 To increase the flavours even more drizzle over a little of Nudo's extra virgin olive oil with stone ground lemons and sprinkle over some thyme leaves. This is a super light and full of flavour dish. It is so quick and easy to make and is perfect for a healthy meal, midweek when time is short. I also received a tin of Extra Virgin Olive Oil and an Extra Virgin Olive Oil with Sicilian Chillies that arrived in this lovely presentation box. So if you are looking for a foodie gift for someone, this would make an ideal gift. 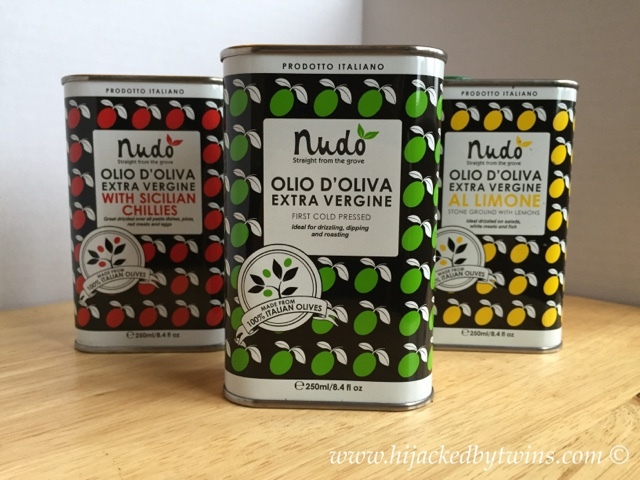 Nudo Adopt do not only supply the highest quality extra virgin olive oil they also sell a range of condiments, teas and even soaps and honey! Products that will be going on my to try list is their extra virgin olive oil infused with thyme, extra virgin olive oil with mandarins, their balsamic vinegar and their sweet chilli jam! These are such high quality, artisan products I know that I will not be disappointed. Disclosure: I was sent the set of Nudo Adopt oils for the purpose of this post. No cash payment was received. All views, words and opinions are my own and 100% honest. POM Wonderful - For Your Smoothies and Cocktails! Slimmerseeker Thursday - Starting Week!